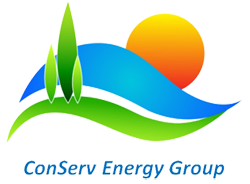 Many industries have heat recovery options that may not have been explored. There are billions of Btu’s per hour of heat energy that are being thrown away through “smokestacks” which translate to millions of dollars of potential natural gas purchased energy savings if much of this heat energy can be captured by way of heat recovery through specialized heat exchangers. Examples of these stacks are flue gases coming from natural gas fired boilers or furnaces. When this heat energy is captured it can for instance be used to preheat plant process water such as boiler feedwater, and or it can be used to generate chilled water through absorption chillers, and or it can be used to generate electricity by way of ORC’s (Organic Rankine Cycle) which are similar to a reverse chiller concept. Payback returns on heat recovery from stack gases from a natural gas fired boiler can be anywhere from 3 years to 5 years. 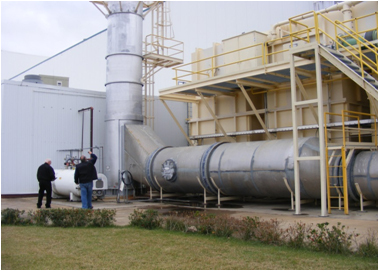 We are presently working at a major automobile manufacturer to capture the heat being thrown away from a RTO (regenerative thermal oxidizer) and we are also working with a major carpet manufacturer to capture that heat being thrown away from 2 – 1,000 h.p. gas fired boilers.